A coalition of 13 Wisconsin advocacy and research organizations have sent a letter to Wisconsin Department of Transportation (DOT) Secretary Mark Gottlieb urging that the DOT establish a "Mobile DMV" program to serve the many communities who currently have limited access to Division of Motor Vehicles (DMV) offices, which issue the state identification now required in order for Wisconsin voters to cast a ballot at their polling places on and before Election Day. 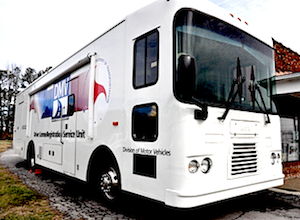 Currently, Wisconsin has just 92 DMV service centers – 60 of these centers (65 percent) are open just two days per week or less. After being enacted into law in 2011, the state voter photo ID law will now be in effect in Wisconsin beginning in 2016, after the United States Supreme Court earlier this year decided not to consider an appeal to strike down the law. The organizations calling for the new program and many election experts are concerned that the required form of ID may be very difficult for many Wisconsinites to obtain. They point to other states that have enacted voter photo ID laws and have established mobile DMV programs such as Alabama, Indiana, Texas and Virginia in order to make required DMV-issued identification more easily available to voters who need it. Wisconsin ought to establish a similar program if it is serious about wanting to make the required forms of state-issued identification accessible and available to those Wisconsinites who currently lack it and who want to be able to continue to vote, or vote for the first time. If Alabama, Texas and Virginia – states which have a history of making it difficult for certain segments of their citizens to be able to vote – can provide a mobile program to serve those citizens who seek required forms of ID, then surely Wisconsin must do at least as much. The fact that such a program has not yet been established here thus far is surprising and troubling. It is time to correct this significant oversight. The letter to Secretary Gottlieb is here. Postponed: Another campaign fundraising event during state budget consideration! 1. Last Tuesday, CC/WI called for State Senator Julie Lassa (D-Stevens Point) to postpone her campaign fundraising event, scheduled for June 18th in Plover after we successfully persuaded State Senator Alberta Darling (R-River Hills) to postpone her event at the end of May. On Thursday, June 11th, Senator Lassa agreed to postpone the June 18th event and she sent out this tweet. As was the case with the Darling event, we want to thank those of you who contacted Julie Lassa, urging her to postpone her event, as well as the assisting push from the media. These are small but significant reform victories because they demonstrate that citizens can raise their voices and be heard and that elected officials can be persuaded to do the right thing! We simply have to keep at it and never give up. 2. 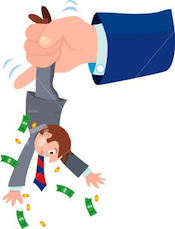 Last week's incredibly stupid, awful, hyper-partisan proposal to eviscerate the highly-respected, long established non-partisan Legislative Audit Bureau (LAB) by State Representative David Craig (R-Big Bend) was immediately attacked by CC/WI and other state reform groups. The Wisconsin State Journal issued this powerful editorial against this Pearl Harbor-like surprise attack, citing CC/WI. It even earned the scorn of Assembly Speaker Robin Vos (R-Rochester). At least in its current form. Last Friday, on Wisconsin Public Television's Here and Now Program, CC/WI Director Jay Heck explained why the Craig proposal is yet another attack on good government and on the few remaining objective, non-partisan and scrupulously honest state government watchdog agencies like the Legislative Audit Bureau, the Wisconsin Government Accountability Board (scheduled for destruction soon) and other entities such as the Legislative Fiscal Bureau and the Legislative Reference Bureau – which could be next. You need to make your voice heard on this one too! Please contact both your State Senator and your State Representative and tell them to oppose the Craig proposal to destroy the Legislative Audit Bureau and to leave the Legislative Audit Bureau as is! While Speaker Vos says he supports keeping the LAB, it could be altered, possibly in the state budget bill, to make it more compliant to the whims of partisan legislative leaders. We cannot let that happen. Tell your legislators to just leave the LAB alone. 3. Also last Friday, former Wisconsin U.S. Senator Russ Feingold challenged current U.S. Senator Ron Johnson, who defeated Feingold in 2010, to join him in signing what Feingold is calling "The Badger Pledge." The proposal, which is modeled after one that both current Massachusetts U.S. Senator Elizabeth Warren and her opponent in the 2012 election, former U.S. Senator Scott Brown agreed to, would discourage outside special interest spending groups from drowning out the voices of the candidates in the election in Wisconsin. Wouldn't that be refreshing? We like the idea and hope Senator Johnson will agree to it. What do you think? Please let us know. Hope you are enjoying the start of Summer in Wisconsin! Madison - Three leading good government groups in Wisconsin today are condemning a proposed bill in the State Assembly that would do away with the nonpartisan Legislative Audit Bureau and the bipartisan Joint Audit Committee. 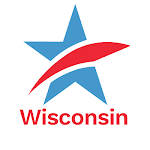 The League of Women Voters of Wisconsin, Common Cause in Wisconsin, and the Wisconsin Democracy Campaign say that the draft bill, co-sponsored by Rep. David Craig and Rep. Adam Jarchow, would destroy the best watchdog the state has, and for no good reason. “With all the money in politics lately, the last thing we need is to lose our nonpartisan Legislative Audit Bureau, which has no bias but simply investigates and reports the facts about how our government agencies and officials function,” said Andrea Kaminski, executive director of the League of Women Voters of Wisconsin. “This is an obvious and nakedly partisan attempt to eliminate any independent entity that can effectively identify and investigate political corruption in Wisconsin and shield the political party in power from prosecution and even criticism," said Jay Heck, executive director of Common Cause in Wisconsin. So why the need for this bill? But we shouldn’t want our watchdog to be concerned with “the political will” or the composition of the legislature. All it should be concerned with is waste, fraud, abuse, inefficiencies, and cronyism. The proposal would also disband the Joint Audit Committee and hand over auditing powers to committee chairs in the State Assembly and State Senate, as well as jointly to the Assembly Speaker and Senate Majority Leader. When those positions are held by one party, as they are today, this would give enormous additional power to partisans of that party. The proposal would also empower the Joint Committee on Legislative Organization, now run by Speaker Robin Vos and Senator Mary Lazich, to appoint an inspector general in each large state agency for a six-year term. This would further consolidate partisan power. "Does anyone seriously believe that partisan-appointed inspectors general would objectively assess and evaluate agency work directed by their partisan masters? This proposal is ridiculous on its face and ought to be rejected outright by the Assembly Speaker, the State Senate Majority Leader and the Governor immediately," Heck added. What’s more, the inspector general for the Department of Justice would be authorized to audit the records not just of state agencies and programs but also those of “any county, city, village, town, or school district.” This could tie up the democratic processes of local governments. “It’s an invitation to a statewide partisan witch hunt,” said Rothschild. The bill would also give the Speaker of the Assembly and the Senate Majority Leader the extraordinary authority to contract out the work of the Department of Justice’s inspector general to “some other person or entity” who would “audit the records or the programs of the legislature, legislative service agencies, the Office of the Governor, or the courts,” according to the Legislative Reference Bureau. The Legislative Audit Bureau is working very well today. There is no good reason to monkey with it. Its recent audit of the Government Accountability Board, for instance, was thorough and fair, and its recommendations have led to improvements there. The Legislative Audit Bureau is a pillar of nonpartisanship and good government in Wisconsin. It should not be knocked down. 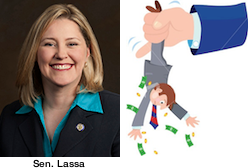 Common Cause in Wisconsin (CC/WI) today is publicly calling for State Senator Julie Lassa (D-Stevens Point) to postpone her fundraising reception, scheduled for Thursday, June 18th in Plover, until after the currently pending state budget bill is signed into law. Late last month, CC/WI called on State Senator Alberta Darling (R-River Hills) to postpone a fundraising reception she had scheduled in Madison because the state budget bill was still under consideration. Darling complied and postponed the event. CC/WI and many newspaper editorial boards have long favored prohibiting state elected officials from holding campaign fundraising events while the budget is being considered because it looks as though these events could be an opportunity for special interest groups and lobbyists to influence legislative decisions about the budget and they feed the public perception that state government is for sale. Since 1997, CC/WI has sought to prohibit such events, as Minnesota, Kansas, Georgia and a number of other "blue" and "red" states have done. While such events are not illegal, they should be. Accordingly, we call on State Senator Lassa to postpone her event until after the budget is signed into law. And, if the budget is still in play on June 30th, we further call on the State Senate Democrats to postpone the fundraising event they have scheduled for June 30th in Madison. We will monitor further developments in this situation and report back soon.